I made this thread a few years ago, if it helps. Your article has been my main source. Thanks! Without it I would have had only a small amount on this article. I linked it in the first post. Here's a pro-shot song from Spain in 1990 during a short tour that Carl missed. This includes a weirdly strong directorial emphasis on the fill-in guitarist Stanley T. Sichel, who played some shows in mid-late 1990 (and possibly early 1991?). I had previously thought he only appeared at a small number of shows where Carl was absent, but another old thread suggest he had a longer tenure that would have included gigs with Carl as well. I believe Adrian Baker is also in this footage, so I'm not sure if perhaps Sichel was at some gigs where Baker was not yet there as well (I seem to recall mention of Sichel playing some of the Mike-less gigs in mid-1990 as well?). 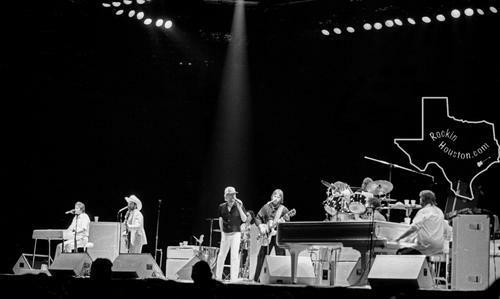 It always amazed me that Carl could miss a tour, or Mike, or Al (or earlier, Dennis), yet the Beach Boys machine rolls on. I mean, imagine another band of similar vintage getting away with that. The Kinks touring in 1990 minus Dave or Ray; or the Stones going out without Mick or Keith or Charlie. I think we could add that David Marks was part of the Beach Boys touring group for their entire 2008 UK tour. Stanley T. and Adrian were both with the band when I saw them in August 1990 - and so was Carl. Essentially, I think they both replaced Jeff (Stanley T. for lead guitar, Adrian for falsetto vocals). When Stanley left, they brought in a sax player to boost their instrumental appeal, and then when Adrian left, Matt took over the falsetto role. I don't think it's so surprising that the BBs machine rolled on without key members. After all, this was a band that was used to performing without their major songwriter and (at least originally) their "featured" vocalist. Carl and Al would take over leads on the songs that Brian had sung in the studio. Heck, in 1971, we saw the BBs several times without Brian and Dennis. They still put on a great show. Clearly there's enough talent still available to man two distinct and highly competent touring groups. ...and THREE when Al's band was up and running! I can't help I still roll my eyes and get an uncomfortable feeling every time I see a video where Mike leers at the cheerleaders even after so many years have passed. 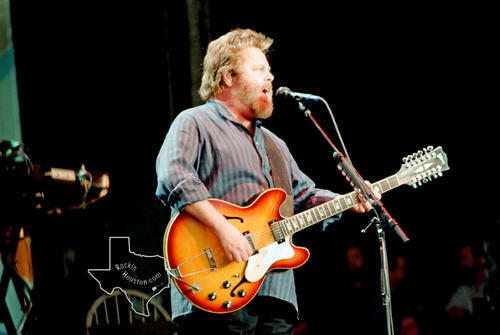 Mr. Stebbins, between 1999 (when David stopped touring with the Beach Boys) and 2008, did he say he was a member of the group? I don't have your book (and am eagerly waiting the second edition). Some articles say his departure from the touring band meant he left the band completely in 1999, but I wasn't sure if it was that he was a member but didn't tour (like Brian and Al, though those stories are different). For any other members, I thought I read that David Marks was not originally going to be part of C50. Was there a reason? Was Mike actually the one who advocated for him? I don't think there's any hard rule about what constitutes whether someone is still "in" the band. When Dave joined in 1997, or at least certainly by the time Carl died in 1998, the band essentially didn't exist anymore. It essentially broke up in 1998, ceased operations, and BRI licensed the name to Mike's solo tour. But as a general rule, I think it's generally considered that Dave joined in late 1997 and left in July 1999, and any runs of shows he has done since then have been "guest" spots, akin to Blondie touring with Brian. I should clarify that I absolutely think the band *could* pull off a live show with someone missing in that era. I'm not surprised by that; obviously these days Mike does it without Al and Carl and, however much one likes or dislikes the increasingly anonymous sound his band provides, he pulls off his tours without a hitch. What's surprising is that they never canceled shows based on the idea that fans would want to see and hear each of those core members. The Stones could do a show without Keith Richards, but they (I'm guessing) never would, because fans would call BS on it, and/or the band would feel fans would be disappointed not seeing a core member. I'm not sure whether the BBs went on with one member missing because they were just greedy about not losing bookings, or if they felt they were all anonymous enough that nobody would notice or care, or what. If had happened once or twice in isolated instances with the BBs, I wouldn't think much of it. I'm sure there are bands that have gone on for a show without a core member because there was no notice and the promoter was going to take them to the cleaners if they cancelled, etc. But in some cases, it appears it was known well in advance that various BBs would be missing shows. In 1990, Mike missed a string of shows because he had booked a tour with his Endless Summer Band in Japan. I can't imagine there's any way Mike wouldn't have known that the Beach Boys would be likely to be busy in May/June touring as the summer started. Health things did come up on occasion on short notice as well of course. Didn't Carl have an appendectomy for one of the strings of shows he missed in 1990? I know Mike missed a few gigs in 1983 due to strep throat. Didn't Carl have an appendectomy for one of the strings of shows he missed in 1990? I had previously for some reason though a short string of shows Carl missed in the US in 1990 and the Spanish tour he missed were two different episodes. There's a late September 1990 Carl-less show from Tahoe that circulates from a camcorder video as I recall. But looking at the schedule (I don't have my Rusten/Stebbins book in front of me! ), it appears Carl missed a few US shows leading up the Spanish tour due to the appendicitis. I still want to say I have a vague recollection Carl missed a few other shows here and there, but again I don't have Rusten/Stebbins in front of me to check. 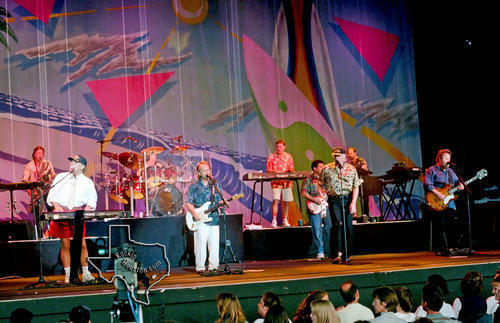 I think it's semantics once the touring band became the only real representation of the Beach Boys, which was the case from the late 90's until 2012. You have the corporate entity, the touring entity, and the surviving originals. Which of those you choose to consider the Beach Boys is up to you I guess. For me the Beach Boys are the three Wilson brothers, Mike, Al, and Bruce, plus Blondie and Ricky if you think those years count too, which I do. Anyone else including Glen Campbell were/are sidemen. But there is certainly room for interpretation depending on your personal point of view. So in short, after late '63 (actually '67 but he didn't know that at the time) Dave was not a corporate Beach Boy, and no longer a touring Beach Boy when he left in '99, but he still was one of the surviving originals. So no, yes and no? It's a nuanced thing. Regarding C-50, I think all of the others were advocates for Dave being part of the reunion (at least that's what they all claimed). IMO it was the management, and organizers who got the project rolling that at first didn't see him as automatically involved, they might of thought of him as a potential guest somewhere in the process, I don't exactly know. This probably wasn't political or that clearly thought out, it was likely a lack of understanding of the genesis and rise of the Beach Boys from a historical perspective. But, and this is just my perspective not an official one, at some point in the early stages things went a little wobbly between Al and some element of the C-50 rollout, Dave was then the obvious solution to fill out the lineup should it be a man short. But things moved fast and quickly beyond that issue, and once the five were together everyone was happy that both Al and Dave were on board. Even separating any fandom or sentimentality from it, I'm surprised everyone wouldn't immediately jump on a five-man "reunion" as being preferable from a marketing standpoint. Picture all of those five-man C50 photo shoots. Imagine it being only four guys instead. It just looks more substantive with five. I'll always wonder if, had Brian started having Blondie guest at his shows in 2010/11, if that would have led to Blondie being able to drop in at a few C50 gigs here and there. Imagine the C50 lineup, with Blondie added and singing a song or two. Found some interesting shots that document various lineups on the "Rock in Houston" website, which apparently documents Houston tour stops for various bands. Regarding the 1990 pic: yes, Matt took over the percussion role from Bobby Figueroa in early- or mid-'88. Didn't take over the falsetto vocals, though, until Jeff left in mid-'90. 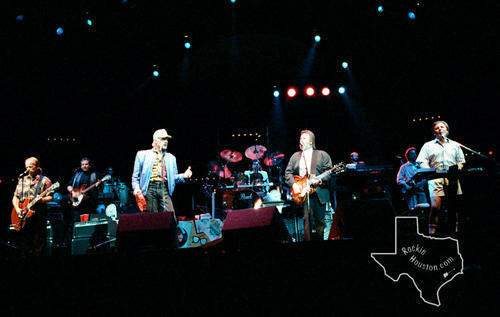 At the Mike-less 1990 shows when Jeff was still there, Matt sang Al's parts in the harmony stack while Al sang Mike's leads. Regarding the 1997 pic: Phil Bardowell was definitely with them when I saw the band in KC on June 6 - just two days prior to the date of this pic. As I recall, his onstage position was to the left of Ritchie Canata and Bruce (as viewed from the audience), so probably just out of the photographer's range. He played rhythm guitar throughout, and didn't sing. I think he was there as "insurance" in case Carl fell too ill to play. Ah, okay that makes more sense. I was almost going to note that the entire stage view isn't found in any of the pics (there are more group photos from the same show, but they're all from about the same position), so Bardwell may have been lurking somewhere. Matt joining in would also I suppose pinpoint about when Bobby F. left the band. I think he's in the Belgium 1987 pro-shot TV airing, and I think that's about the last video I can think of where he's present. Matt being rehearsed on Al's part on the vocal stack when Mike was gone probably also came in handy as Al missed a few shows in 1990 as well (including the soundboard show that circulates that we tried to ID awhile back in an old thread; it's probably misdated or has the wrong listed location, which is Tennessee on 6/6/90; in any event, Matt sings Al's leads on that show as well). In fact, Bardowell played lead guitar for at least one Carl-less show in December '96, as well as the brief Carl-less tour of Finland in early '97 (right after Carl's diagnosis was made public). They apparently just kept him on as a backup when Carl returned. I'd read a review of an early '88 show (it was either Hawaii or Nevada) that mentioned Bobby's drumming on "Wipeout", indicating he was still with the band at that time (he and Mike Kowalski had been rotating the drum and percussion roles throughout the show since Dennis' death). But by the summer tour that year, Bobby was gone, Mike K. was drumming on every song, and Matt was playing percussion. There's that pseudo-pro-shot video of a 1988 Arizona show that circulates (setlist.fm dates it as May 20; I don't have Rusten/Stebbins available at the moment to confirm), amidst the last of the pre-Kokomo era shows, and as I recall Bobby is not at that show. So that narrows it down a bit I suppose. And it certainly made sense to have someone else available to play guitar if Carl needed to miss shows. Sans Carl, the touring band at that stage would have had *one* guitar (Al), and three keyboardists (Bruce, Meros, and Bonhomme), actually four as Richie Cannata sometimes played keys as well. I know the days of the BBs being guitar-heavy were over by the 90s, but you gotta have at least one rhythm guitar *and* one lead guitar in the mix at all times to make it work and not be completely overrun with keyboards. Yes - plus, I just don't see Al playing all of the iconic surf-guitar solos. With the possibility of Carl absences, they needed a ringer who could cover those parts. 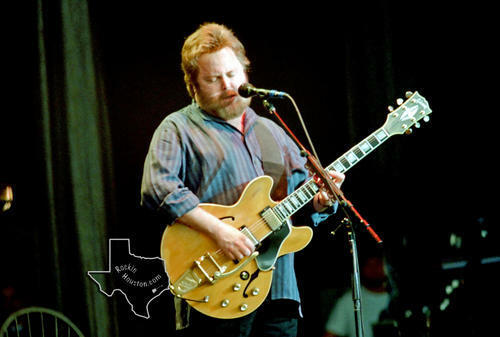 By 1999, they had three guitarist in the band with Bardowell, Adrian Baker, and David Marks. When did Bardowell leave? David's last show was July 4, 1999, so presumably at that point they were down to two guitarists. Did Bardowell leave before Scott Totten joined? I'm curious if at some point they were down to one guitarist again at any point. I see Bardowell still in the band in a July, 2000 pro-shot video on YouTube. Totten joined at the very end of 2000 as I recall. So perhaps there was a little overlap, or Totten essentially replaced Bardowell? Re-looking up a Totten interview, it appears his first gig as a fill-in was 12/28/2000, and he permanently joined on July 5, 2001. I don't think Al would have been into doing it either. Although, I think he actually *can* play those solos. I saw him do some of those iconic solos at a solo benefit gig in 2005. Stuff like "409" and the intro to "Fun Fun Fun."